(NaturalNews) It's happening all across the nation, but it's something state and medical authorities are afraid to discuss. It's something called medical kidnapping - the warrant-less seizure of children based on mere suspicion of child abuse. For example, if a parent disagrees with a medical diagnosis placed on their child and they want a second opinion, then authorities may label them "abusive parents." Child protective Services (CPS) is called in to "rescue" the child, taking custody, leaving concerned parents heartbroken and powerless. What's absolutely appalling are the cases where hospital authorities call on state workers to seize children without any reason, warrant or evidence of abuse. In the most intrusive and authoritarian manner, case-workers for Child Protective Services are allowed to act on mere suspicion, barging into homes and kidnapping children without reason or common sense. This leaves parents in the most heartbroken and desperate situation. Cornered and questioned by state workers, parents are often bullied in their own homes, their children taken on mere suspicions. The forced separation is traumatic for children and parents. For a family in South Dakota, initial concerns for their newborn's health ultimately cost them everything. The two parents, Molly Bowling and Michael Becker, went to pick up their three children from daycare on November 28, 2014. This included their newest arrival, two-and-a-half-month-old Creedance and their toddlers Robin and Noah. 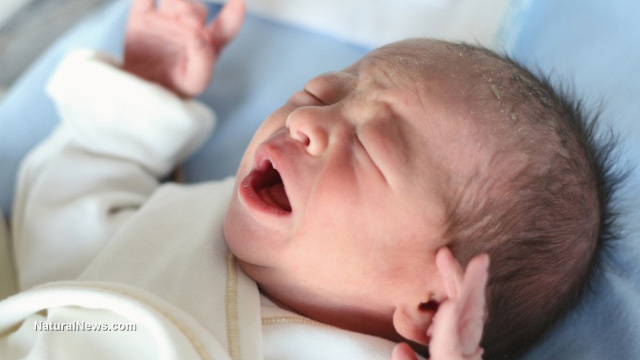 When they got their newborn home, they noticed a cut on their newborn's tongue. Michael's mother advised that they take Creedance to the hospital, because the cut was preventing Creedance from eating normally. Creedance was taken to Stanford Hospital in Sioux Falls, South Dakota. After looking over the newborn, the doctor decided to call Children's Voice, a child abuse nonprofit organization. It didn't take long for the situation to escalate. According to the father, Michael, "It all happened so fast. Next thing I know, we're being questioned by CPS and detectives." The newborn was kept in the hospital overnight, while CPS and police investigated the toddler's grandparents' home. Authorities deemed that the other two children were safe but ordered Michael and Molly to stay the night elsewhere, separate from their children. The parents complied and were further instructed to take their two toddlers to a doctor working for Children's Voice. As authorities pressed further, CPS began questioning the parents repeatedly, intrusively, attempting to turn father and mother against one other. Feeling bullied, Michael asked for a lawyer. At this point, authorities became even more aggressive. CPS agents showed up at the grandparents' home without a warrant, evidence or cause, telling Michael's parents to hand the children over. When the grandmother defended the family and asked the CPS if they had a warrant, she was told, "We don't need one for this." Initially Michael "thought taking him [Creedence] to the hospital was the right thing to do," but as all hell broke loose, he wished he would have just kept his son home. Michael said, now "we're being looked at as though we beat a 2 month old." Reportedly, when the mother Molly was blamed for abuse at the house, she told the CPS worker to "prove it," but the case worker responded, "We don't have to prove it." The CPS viewed videotape from the boy's daycare, seeing no foul play. The CPS justified the kidnapping by claiming that the cut on the baby's tongue was child abuse initiated by the parents, not the daycare. At the heart of it all, wasn't it the parents who were concerned about their newborn baby and sought help at the hospital? How can CPS be so arrogant and senseless to not see the love that these parents have for their children? Molly and Michael are heartbroken and confused. They've lost all three of their children to the state on baseless claims. They need help. They can be reached through their Facebook support group here and would greatly appreciate any help getting their children back through the legal system. For more coverage on this case, listen to Robert Scott Bell at RobertScottBell.com and Natural News Radio. Texas CPS underreported 655 children killed under its "care"